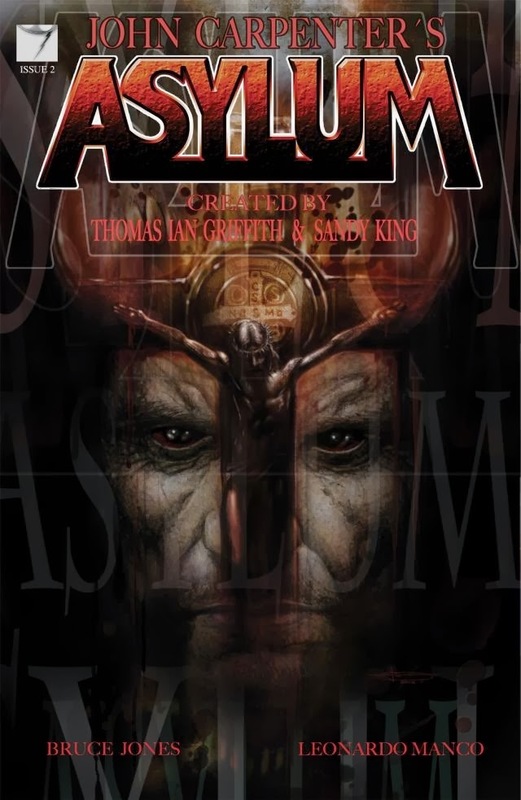 The Fellowship was fortunate enough to obtain a copy of JOHN CARPENTER’S ASYLUM #2 from comiXology Submit. Bruce Jones writes and Leonardo Manco draws. Father Daniel Beckett is not in good standing with the church. It appears, though, that perhaps God does not agree with the church in this case. Right now whatever is possessing Jackson is causing a lot of chaos in Beckett’s world. And after a couple of car crashes and run-ins with the cops, Jackson gets away. Beckett retreats to confer with his own priest, and Duran tries to track down his missing partner. This is a very intense book. That’s not what surprised me, though. It’s also a very personal book, at least in terms of characters. These characters, especially Daniel, are all in completely over their heads with this possession thing, and it’s really bringing out who they are as people. And that’s exactly how it should work (in my humble opinion). Their world is all upside down, and that’s exciting and cool. This is a great title, and I’m sure the esteemed Mr. Carpenter wouldn’t have put his name on it otherwise. This is a quality horror book which I highly recommend. 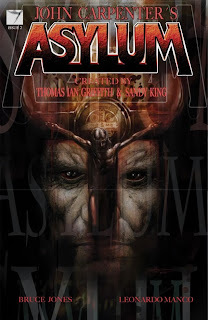 JOHN CARPENTER’S ASYLUM #2 is available now online at comixology.com.